Essential oils are derived from plants. Many of the plants commonly used for essential oils have health benefits that can be amplified when used through oils that are distilled from the plant materials. Essential oils that are heavy and concentrated are called absolutes, such as jasmine and rose; oils that must be warmed before use are called balsams, such as camphor and pine. Essential oils are often used for massage and baths. They can also be used in aromatherapy, in which the fragrance of the oil is considered beneficial. Essential oils can be applied directly to the surface of the body on the skin. Often, when used this way, they are applied through creams, lotions, massage oils or in baths. The therapeutic qualities of the essential oil affect the body locally where they are applied. However, when they are absorbed into the skin, the essential can also travel to specific organs in the body through the lymphatic system, where they enter the blood stream. When inhaled, essential oils can travel much more quickly throughout the body. For example, if used with a humidifier, eucalyptus oil can clear mucus membranes and acts as an antiviral and antimicrobial solution. Essential oils are rarely digested. Therapeutic properties of essential oils can be altered through the digestive process, which rarely makes them good options for alternative health treatment. However, if they are used in this manner, quickly absorbed into the blood stream through the mucus membranes of the mouth and digestive system. Essential oils have been used for thousands of years for their healing properties. As far back as the Egyptians, ancient artifacts have documented the use of oils derived from plants to ease pain and discomfort due to illness and injury. 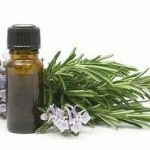 Antiseptic – Essential oils have been used for antiseptic purposes for many, many years. Almost all essential oils contain some aspect of antiseptic properties. However, lavender, cinnamon, pine, tea tree and eucalyptus are among the most well-known essential oils that are used for antiseptic purposes. Anti-Inflammatory – Inflammation of tissues can cause mild to extreme discomfort. It is typified by pain, swelling, redness and discomfort. Essential oils that are commonly used to ease inflammation include rose, lavender, benzoin, sandalwood and chamomile. Cell Regeneration – Essential oils are often used to stimulate cell regeneration and restore tissue. For the adrenal glands, use essential oils from pine, rosemary and basil. For the endocrine system, use ylang ylang, cypress and jasmine. For skin cell regeneration, use chamomile and lavender. Sedation – Many essential oils can have a calming effect on the nervous system and promote relaxation. Essential oils can help relieve muscle spasms and provide pain relief. Essential oils often used for this purpose include ylang ylang, geranium, lavender, neroli and rose. There are literally thousands of plants that can be used for essential oils. As a result, it can be confusing if you are just starting to learn about and understand how essential oils are used and in what ways. Here are some basic, commonly used essential oils that you might want to include in your arsenal of easy-to-use remedies. Lavender Oil – Lavender is wonderful because it has so many different properties, besides smelling great. With a clean refreshing herbal fragrance, lavender has long been used for its calming effects. If you or a child is having problems sleeping, dab a few drops on a pillow. You can also put a capful in a warm bath to encourage relaxation. Lavender also has antiseptic qualities and is good to use on wounds and burns. Tea Tree Oil – Tea tree has a slightly medicinal and spicy fragrance. It has strong antifungal, antiviral and antibacterial qualities. Use it on the skin to treat skin inflammation, acne, fungal infections or as an antiseptic for wounds and burns. Peppermint – Peppermint is a wonderful essential oil for enhancing clear thinking and alertness. It can be used in teas for digestive disorders such as nausea and indigestion. You can also use it around the house to fight ants, mosquitos and mice. You can spend a lifetime learning about essential oils and their uses. They have been used effectively for thousands of years and continue to be used today for health issues and home remedies.